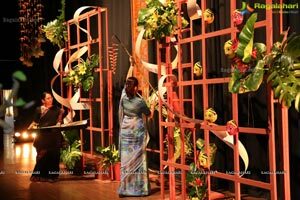 NAVA, meaning Nine and also meaning New, today, spotlights the spirit of Ikebana in culmination and celebration of the Bathukamma and Navaratri festival. 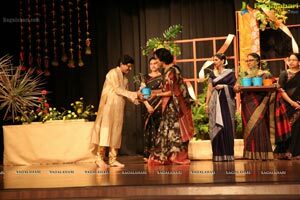 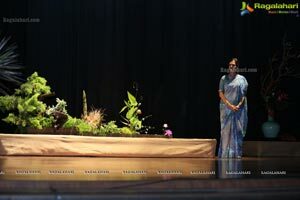 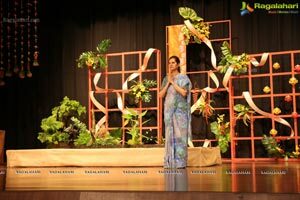 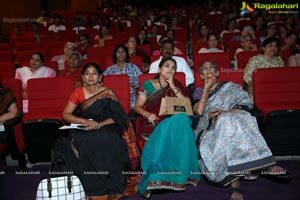 OHRYU REKHA REDDY, First Master Ohara, Ikebana gave a demonstration titled 'NAVA' at Shilpakala Vedika on Tuesday. 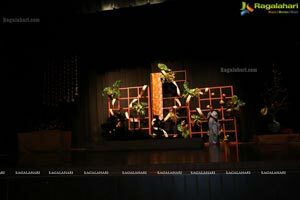 Ikebana is a traditional art form of Japan which involves the creative arrangement of flowers, leaves and branches in various combinations to bring out an aesthetic essence dedicated to nature. 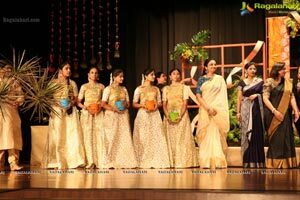 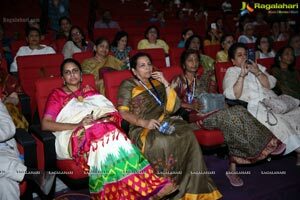 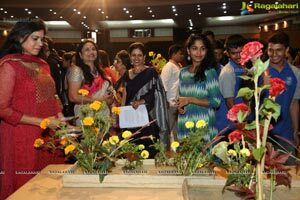 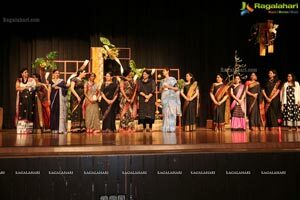 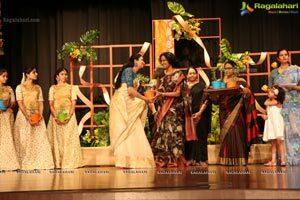 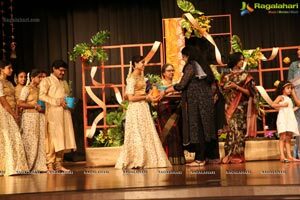 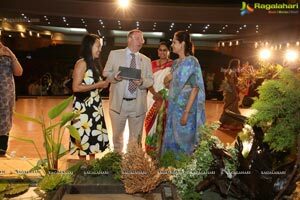 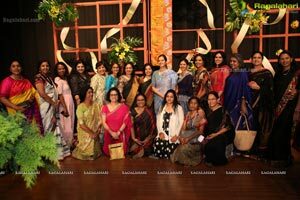 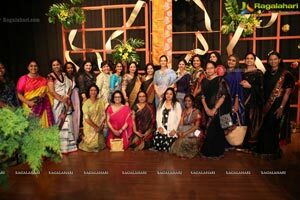 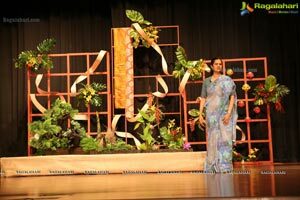 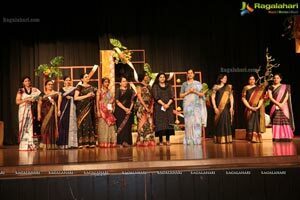 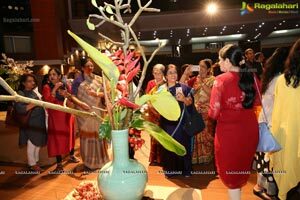 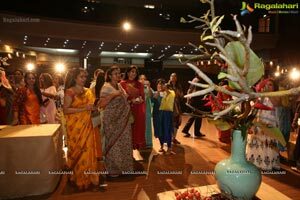 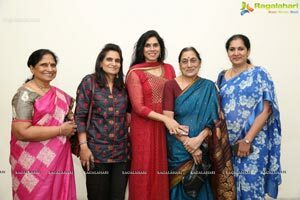 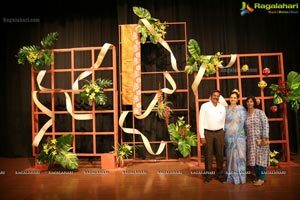 The Ikebana demonstration was organized as a part of the Bathukamma Festival hosted by the Ikebana International Hyderabad Chapter #250 and the Department of Tourism, Government of Telangana. 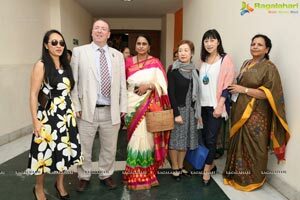 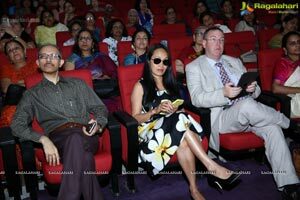 British Deputy High Commissioner, Mr. Andrew Fleming was the Chief Guest on this occasion. 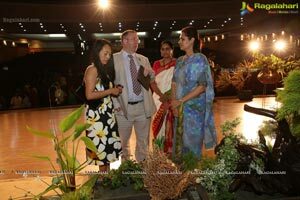 Prof. Sachiko Suzuki and Asst. 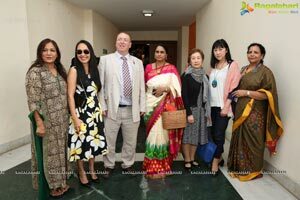 Prof. Hozuki Oyamada from the Ohara School also graced this event along with dignitaries, many art lovers and students as well. 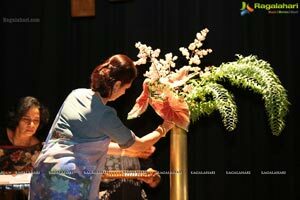 Ikebana came into origin with the introduction of Buddhism to Japan more than 600 years ago. 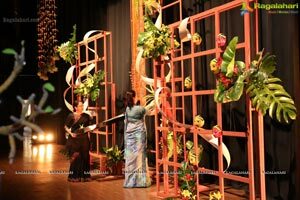 The art form evolved from mere offerings of flowers to Buddha at the temple altar to many styles and schools. 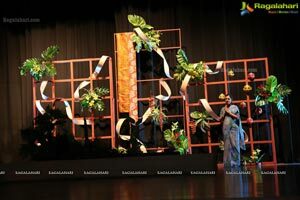 Ikebana arrangements conform to certain rules and are shaped closely resembling nature. 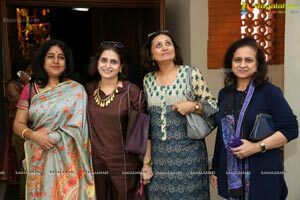 They are graceful and rhythmic with beautiful lines. 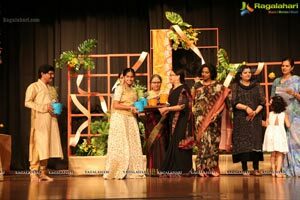 Each school has its own specific theories and principles. 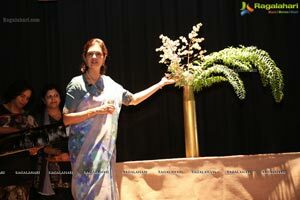 Practicing Ikebana helps one to connect and bond with nature that brings about calmness and also inspires one to appreciate all art forms. 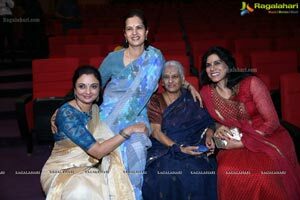 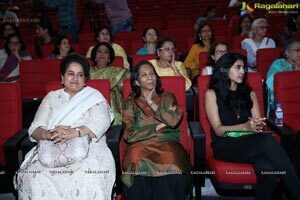 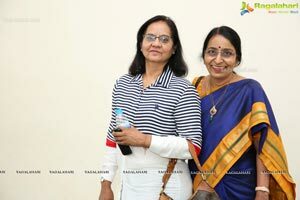 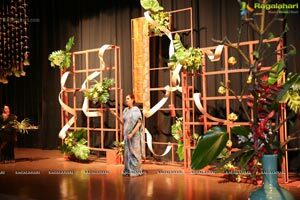 From a very young age, Rekha Reddy imbibed Ikebana by watching her mother Shamala at it. 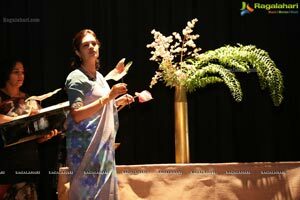 Grandmaster Horyu Meena Anantanarayan honed her skills in the art. 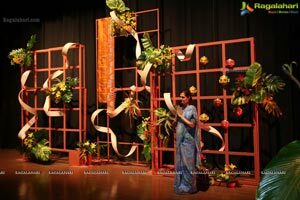 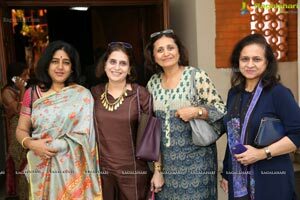 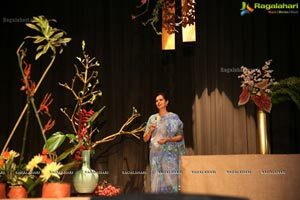 Ikebana was Rekha's hobby that progressed into her passion and she has been encouraging been and teaching this art for over two decades. 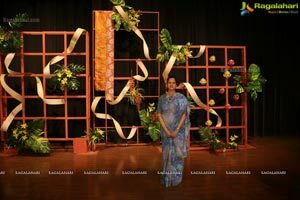 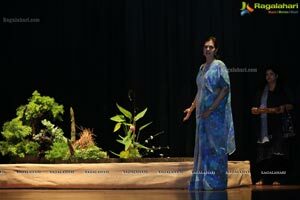 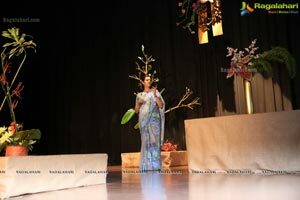 Speaking about "NAVA", Rekha says, "This demonstration was done to showcase the different styles of the well-known Ohara School of Ikebana and to acquaint the audience and public to its uniqueness". 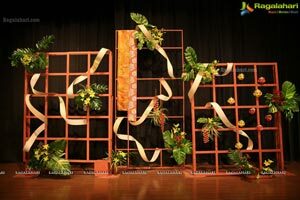 The Head Master of the Ohara School is the young Hiroki Ohara. 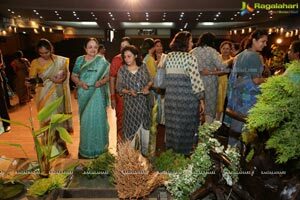 This day being the day of Bathukamma and beginning of Navaratri, each of the nine arrangements done, were given a new light to associate with the importance of the nine days. 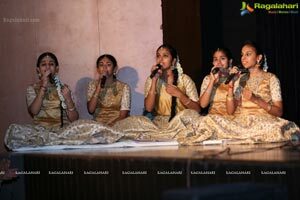 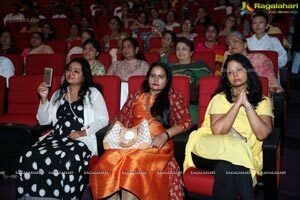 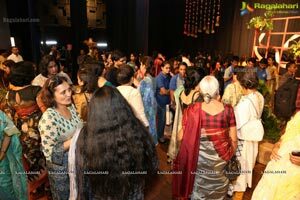 The show started with a soulful rendition to Lord Ganesha followed by the popular and catchy Bathukamma song. 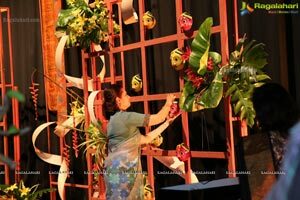 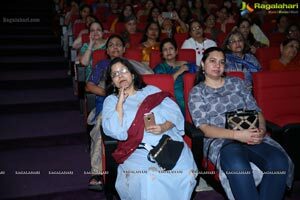 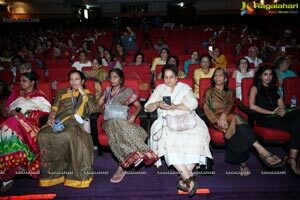 Beautiful classical songs were rendered in each of the arrangements that were a tribute to each of the Devis of Navaratri.